A AICEP realiza a partir de 22 de Maio de 2014 o programa formexport. Um programa de formação certificado para empresas que queiram iniciar ou reforçar o seu processo de internacionalização ou exportação. INSCREVA-SE! O programa focado no “saber fazer”, visa formar equipas ganhadoras para actuação no mercado internacional, imprimindo às PME maior competitividade nos mercados externos. Primeiros Passos para Exportar, Marketing Internacional, Logística, Comunicar no Mercado Global e Balanced Scorecard na Exportação serão as áreas-chave deste Programa de Formação. Sabendo do interesse de muitas empresas em investir em Moçambique, vimos apresentar-nos como potenciais parceiros dessas mesmas empresas. Temos um conhecimento privilegiado do país e de todos os requisitos ambientais necessários para a instalação de projectos de acordo com a legislação em vigor, pelo que acreditamos constituir uma mais-valia dos potenciais investidores para projectos que impliquem intervenção territorial. Convidamo-vos a visitar o nosso website em www.biodinamica.co.mz e o nosso facebook em https://www.facebook.com/biodinamica.mz. Irá ter lugar nos dias 28 e 29 de Novembro, no MEO Arena – Sala Tejo, uma missão de empresas europeias a Lisboa, liderada pelo Vice Presidente da Comissão Europeia, António Tajani, no âmbito da iniciativa “ EUROPE 2020 Strategy for Growth”. A AICEP organiza a Conferência subordinada ao tema “Promoting Business Partnerships in Portugal”, no dia 28 de Novembro. Esta Missão tem como objectivo dar a conhecer às empresas europeias as oportunidades de negócios que Portugal tem para oferecer, através da realização de uma Conferência, organizada pela AICEP, sob o tema “Promoting Business Partnerships in Portugal”, no dia 28 de Novembro, da parte da tarde, e de Encontros Bilaterais que decorrerão no dia 29 de Novembro, durante todo o dia, de forma a permitir um contacto direto entre as empresas europeias e os potenciais parceiros portugueses. O IAPMEI, enquanto coordenador da Rede Enterprise Europe Network em Portugal, está a organizar em colaboração com a Comissão Europeia e a com a AICEP, os Encontros Bilaterais que terão lugar no dia 29 de Novembro, com o já mencionado objectivo de dinamizar oportunidades de negócio entre empresas portuguesas e europeias. PROFILE VEHICLES OY The Iisalmi-based company’s range of vehicles contains several ambulance models. 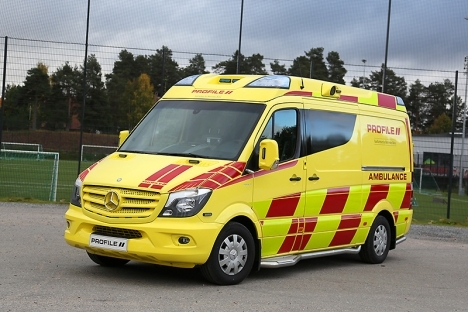 Profile Vehicles Oy, a developer and manufacturer of specialised vehicles based in Iisalmi, has received a substantial ambulance order from Hungary, reports the newspaper Savon Sanomat. The order includes 178 ambulances and is worth some EUR 10 million. According to Savon Sanomat, the ambulances will be delivered to the state-run OMSZ ambulance service, and the order is a continuation of an earlier one for 83 ambulances for the same Hungarian client. The corporation’s parent company, Profile Vehicles Oy, is located in Iisalmi. The Group also has companies in Estonia, Sweden and Hungary. Twenty-seven office employees and 40 production personnel work at the Iisalmi unit. — The order will not create work directly for our Iisalmi unit, but the contract will bring material deliveries, design and product development our way, Group Managing Director and CEO Marko Repo tells Savon Sanomat. — Our headquarters are in Iisalmi and the focus of our activities will remain here, he adds. The company was established in 1982 under the name Iikori Ky. Its name was changed to Profile Vehicles Oy in 2002. Growth entrepreneurship has become a phenomenon in Finland, and its momentum has enabled an increasing number of startups to set their sights directly on global markets. New business accelerators are giving this trend an added boost. How did we get here? — Work life does not offer today’s youth the same stability and security it used to. Only in recent years has establishing a startup become an option for many, says Elina Uutela of the Aalto Entrepreneurship Society (Aaltoes). — Finns are eager to remain at the forefront of technology and innovation. The potential of agile startups is finally being recognised. Nokia’s downward spiral is not without significance, as it has led to the creation of hundreds of new companies and has changed how Finns perceive their place in the world. 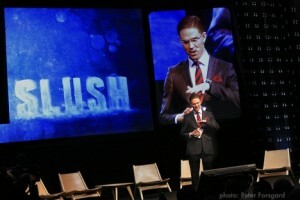 Aaltoes is the largest and most active student-run entrepreneurship community in all of Europe. According to Uutela, Aaltoes’ focus is more on doing rather than planning, and the goal is to find, through experimentation, viable ways of helping startup entrepreneurs and those who hope to become entrepreneurs. — We bring people of all backgrounds together, and we discover what strengths can be found in the team’s skill set. Our spirit of entrepreneurship is characterised by a passion for learning, even if it means learning the hard way. And why would choosing a career that can help you, for example, solve issues that matter to you not be appealing? Tekes annually sets aside some EUR 350 million to fund companies’ R&D and innovation projects. The goal of these projects is to come up with new, growing, profitable and globally competitive business. — The proactive approach of new companies reflects a society’s vitality and its ability to reinvent itself. It is better to create new ideas and business models than cling to the past. It’s not just about startups, but about the business world as a whole, says Jukka Häyrynen of Tekes. — Having a reputation as a creative country that produces startups secures the best employees, top experts, investors and partners for companies. Young companies are pioneers of structural change, because change is seen as an opportunity. Häyrynen lists Supercell, Primoceler, Zen Robotics, Tuxera, Dream Broker, DealDash, and Happy or Not among the success stories that have received funding from Tekes.